This page is to help local parents find the support and play groups that we all need! Some are social groups only, while others are information groups. Check below for a group that interests you…There’s enough out there for there to be a group for everyone! Please contact me if you have a group to add to the list. Make sure to include contact info as well as a brief description of the group. Babywearing Meetups–twice a month free meetups with Center for Babywearing Studies Graduate and trained babywearing educator. Events listed on the Koala Cuddles Facebook Page. Breastfeeding Support Group–with Tess Johnson Lactation Services. Monthly Mom to Mom Breastfeeding Support Group. There is no charge for attending Tess’s support group meetings. Bring your baby with you, and enjoy the warm, encouraging atmosphere while receiving support and information about breastfeeding. Fresno Mommy Talk Facebook Group— A place where mothers can come together and share our lives! 🙂 Please feel free to post comments, thoughts, or questions! We offer support, friendship and fun for moms. Kiddos of all ages are welcomed! We have weekly events to suit the needs of all our members. We are always looking for active new members! Visit their Facebook group. Support for parents of multiples through the exchange of information, ideas and experience from pregnancy to childhood. La Leche League’s monthly meetings provide an opportunity to talk with other mothers about the special joys and challenges of parenting through breastfeeding. A continuing series of informal discussion meetings are offered and are open to all women interested in breastfeeding. Children are welcome. Visit their website or call the Leader Referral Line 265-3301. ICAN of Fresno Chapter’s mission is to improve maternal-child health by preventing unnecessary cesareans through education, providing support for cesarean recovery, and promoting Vaginal Birth After Cesarean (VBAC). 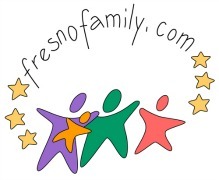 ICAN of Fresno is a local online group that encourages a supportive dialogue to educate and inform anyone who is interested in preparing for childbirth choices, rights of a patient, VBAC, HBAC, & receive emotional support for cesarean births (past & recovery). It is recommended (although not required) that online group members formally subscribe to the ICAN of Fresno Chapter for additional benefits and resources. Interested in joining the online group, click here. Moms of Clovis–We are a group of Moms from Clovis and the surrounding area. We love walking, talking, coffee and eating! Our core group of littles ranges from 3 years to 3 months old, but everyone is welcome! We are MOMS Club, an international, non-profit organization offering support for mothers who stay home with their children, including those who have home-based businesses and those who work part-time. It is a wonderful way for you to meet other at-home moms and a fun way for your child to meet other at-home children! We offer monthly meetings, casual get-togethers, outings for moms and children, family parties, playgroups, babysitting co-ops, activity groups, and service projects. If you live south of Herndon email momscluboffresno@yahoo.com. If you live north of Herndon, email momscluboffresnonorth@gmail.com. This is an international Christian group of mothers who have preschoolers. $5 per meeting. Call Brandy Freeland, MOPS Council Coordinator for Fresno-Clovis, 559-436-0891. Or visit their website to find a group near you…there are 8 groups in the Fresno/Clovis area…as well as others in the surrounding towns. MOPS is a support group for mothers. Their meetings usually include a speaker on family related subjects, discussion time and a craft. Meetings are usually planned for every other week, and child care is available. Some meetings are in the evening so working mothers can attend. Info from website: MOPS International is a non-denominational Christian organization that reaches out to all mothers of children under school age. MOPS helps moms… and MOPS makes a difference in thelives of families. The purpose of MOPS International is to nurture every mother of preschoolers by meeting her distinct needs to the glory of Jesus Christ.. This purpose is carried out in a variety of ways, including local MOPS groups, MOMSense Magazine, MOMSense Radio, MOPS’ books and products, and special events. Phemom–Christian moms group based in People’s Church. A gathering of remarkable young moms, coming together to explore a two-fold question: Who am I and who am I here for? Tiny Tots Playground: Breastfeeding support group that meets monthly. Attachment Parenting is mainly focused on being sensitive to your child’s needs and meeting them whenever possible. Attachment parents usually bed in the same room with their baby and practice babywearing. Mothers usually practice breastfeeding and child-led weaning. Crying it out is greatly discouraged. Gentle discipline for older children is encouraged. This group is for the purpose of providing support, advice, and activities for moms and children to gather and socialize. Any couples in their 50’s who didn’t have kids till their 40’s so their children are now middle-schoolers?? Its hard to find. Most of our daughter’s friends’ parents are 30-40. Hello, I’m a mother of 2. My kids don’t really have any other kids to be around. Would love to join a group. My babies are 16 months and 5 months old. Is there a group for us? Hello My name is Denise We are looking for moms and friends for our 11yr daughter and I .
I’m sorry, I don’t know of any dad’s club locally. If anyone knows of any, I’d be happy to post info! Any groups in Hurom or Coalinga? It’s time to expand our world! My son (12.5 mos) and I are looking for more opportunities to meet people and are interested in the AP mommies group. Please email with more info. How do I get into contact with Visalia AP group? Summer is approaching and we have been working hard to create memorable visits to our parks. Lots of improvements happening in Storyland and Playland, 2013 and 2014 May volunteer days have brought a sparkle to the grounds. The carousel is being restored to its original beautiful 1955 state. It will be complete by the upcoming event, September 27, 2014, Bachelors Ball, ‘Pirates In Storyland’, (http://www.bachelorsball.com) to benefit the Helicopter Project that we are committed to. 2015 will bring new attractions to celebrate the historical Fresno icon, Playland’s 60th Anniversary. Do you have a group of children that you’d like to bring together? We can provide them with a special 2 hour program; our Mother Goose Literacy Walk is offered for 20+ children, Monday-Wednesday 9:00-11:00 AM. Mother Goose will greet the children at the gate and dance them back to Storyland Theater where she captures their attention with an interactive story time. After she will lead them through Storyland with a Magic Key to listen to the ‘Story-boxes at each Storyland attraction. As you start to whine the children down the Willis B. Kyle Express Train pulls up just in time to take them for a ride around the park! All this for just $4.50 per person. Is there a group for expecting mothers? Other than La Leche League, I’m not aware of any others. But I’ve not been an expectant mother for a long time…so I will ask around. Hi my name is Michelle and i am looking for a play group as well. My family and I moved to fresno in June. We are still getting to know the area. Are there any cool parks or places you can recommend for my 9 month old. I am wondering if there are any pregnancy/maternity groups as well. It would be great to meet other pregnant women (especially other first time mothers) that I can share with. I am wondering the same thing. First time mommy, due in April 2014! I know that Clovis Moms Playgroup on meetup.com welcomes expectant mothers. It’s $12/year and the first month you don’t have to pay if you don’t like it. Also La Leche League (free) is a great way to meet other pregnant mamas, and get support for future breastfeeding success. I know that Perfect Balance Yoga offers prenatal yoga,, and part of the session includes a time for mamas to talk and connect. There is also a prenatal swimming class at San Joaquin Valley Rehab, it’s very affordable, you do need a drs note for it. Also there is a group called Birth Circle, it is free, meets once a month and is about birthing support for expectant mamas and mamas who have given birth. Best wishes!!! I would love some information about the attachment parenting play group please contact me! Are there any prenatal groups to join in the Fresno area? It would be great to connect with other expectant mothers. Sadly, it seems we have limited resources for pregnant women in our community. It would be great if there was also information posted for that stage in motherhood/parenthood. Perhaps, there is another website you can direct me to. I’m looking for the same thing! Have you found any groups or met any other pregnant women who would interested in starting something like this (if there isn’t already one around)? What area do you live in and when are you due? I’m newly pregnant (only 5w 4d) and not due until December 4 but I am young and this will be my first so it can be a bit overwhelming. I’m in the Clovis/North Fresno area. Also, sorry, the Saint Agnes mom to Mom support group… I called the number and they said it’s no longer available. Just giving you a heads up. Thank you for all you’ve done with this amazing site! Fresnomommies.com as well the dad’s site do not work. 🙁 I’m wondering if there is a different way to get in touch with them…?? Thanks! are there any AP parenting groups located in Merced? Hi Jenni! I really don’t know…have you tried searching online? Maybe someone who knows can help and comment here? I am a RN working in the Maternal Child Health field here in Fresno at the California Health Collaborative. I work with the Breatstfeeding Coalitions and also working on integrating care for PMAD (PPD) into primary care. Always looking for groups for moms. 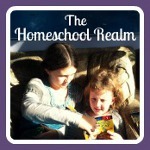 Some of your resources sound excellent for overwhelmed moms. I also am a Mentor Mom at a MOPS group in Visalia at Gateway Church. What a great community service. Would love to talk. My office number is 559-244-4574. We have a contract for support groups for depressed moms with Centro La Familia too.